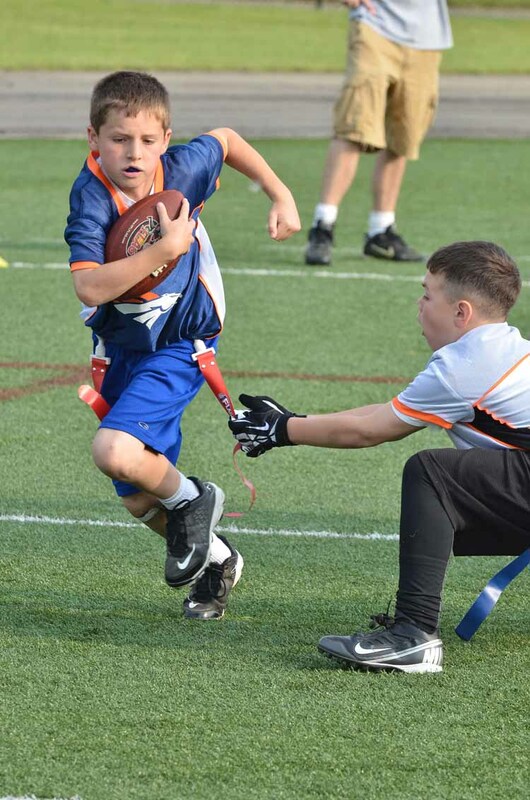 National Flag Football is the largest NFL youth flag football organization in the country for boys and girls Pre-K (4 years of age) through 8th grade. This program provides young players a fun and exciting opportunity to engage in non-contact, continuous action while learning lessons in teamwork. National Flag Football currently operates leagues in 11 States: Colorado, Michigan, Florida, Indiana, Kentucky, Tennessee, Minnesota, Georgia, North Carolina, Virginia & Maryland. Launched in 2006, this NFL Flag Football program is designed to educate young athletes about football in a safe and fun environment while emphasizing participation and sportsmanship. Participants learn skills and lessons that help them succeed both on and off the field. It's all about fun! Our programs are developed around making sure each participant and family is having fun regardless of skill level or experience.